Starting out your morning with fiber is like handing your digestive system a mop and letting it clean your insides out. As a result, you will feel much less sluggish and ready to face the day. Try a bowl of oatmeal, or some whole grain cereals if you prefer. Known as the gut-brain axis, studies have shown a correlation between gastrointestinal flora and the central nervous system, ultimately proving that probiotics fight against depression. With that in mind, there is no food richer in these healthy bacteria than full-fat Greek yogurt, boasting more calcium and protein than your low-fat standard yogurt alternatives. Both melatonin (the sleep hormone) and serotonin (the “happy” neurotransmitter) are synthesized from the essential amino acid called tryptophan. This means that the quality of your slumber and your mood are dependent on it. Many foods feature decent levels of tryptophan (including eggs and asparagus) but none of them rival pumpkin seeds which are also a fantastic source of omega-3 fatty acids. Along with B12, a folic acid deficiency has been linked to depression. Unfortunately, folate can be rather difficult to locate using your diet alone, hence why many smart seniors prefer to rely on multivitamins to get all of their nutrients. In the meantime, you can consume a decent dose of this elusive nourishment via spinach and other general leafy greens, as well as asparagus and citrus fruits. The connection between brain inflammation and depression is well-documented, and this is where the antioxidant called lycopene comes in. Tomato products are packed full with this anti-inflammatory substance, to the point that various studies have proven this diet choice to relieve many of the depressive symptoms. Other lycopene-rich foods include guava and watermelon. Vitamin D is famously the sunshine vitamin, which has been increasingly connected to seasonal affective disorder. 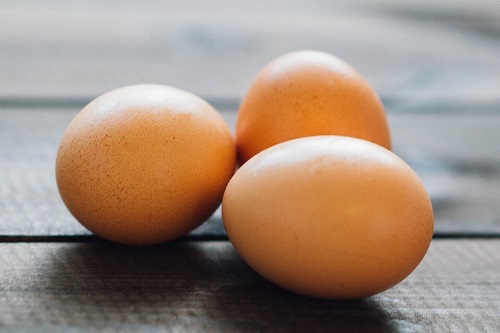 Thankfully, one can absorb a little bit of this nutrient from their food too, fittingly from the sunshine yolk center of the egg. The white of an egg is also loaded with protein, so crack them open and enjoy their happiness along with other vitamin D products such as mushrooms. An intake of magnesium is consistently shown to be highly valuable for those who suffer from depression, and yet nobody fully understands why. However, when looking at its health properties in regards to a greater muscle flexibility, calcium absorption, and blood pressure regulation, these overall improvements do make some sense. To get more magnesium from your diet, snack on assorted nuts (almonds, cashews, peanuts, and Brazil) as well as tofu and avocados. Vitamin C may be the popular choice for those looking for an immune boost, but there have been studies which connect this vitamin deficiency with depressive-like behavior in mice. Luckily, sources of vitamin C are easy to find, from kale to oranges to broccoli, but chili peppers also come with the added advantage of a burning your mouth, which is an ideal depression distraction if there ever was one! Instead of feeding your anxiety with stimulants like coffee or soda, swap them out for healthier tea alternatives. Green tea is often appreciated as a soothing, relaxing drink filled with antioxidants and nutrients, while chamomile has been linked to an easier night’s sleep. If you suffer from a sweet tooth, replace all sugars with moderate amounts of honey to avoid the blood sugar crash. Finally, here is some great news: cocoa polyphenols have been linked to stress reduction, along with various mental, cardiovascular, and energy-related improvements. What’s more, it’s a friendly message to your taste buds that you love them after all. With this in mind, always stick to the darker variations of chocolate for a more powerful cocoa bite, and do not overdo it! If you are worried about your lack of self-control, you can get a similar antioxidant fix from berries (such as blueberries and strawberries), nuts (such as pecan and walnuts), or artichokes.